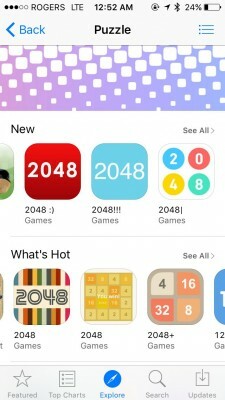 Last weekend, a number of users from different countries like New Zealand, Spain and several others reported about the failure of the App Store algorithms. The mistake in the algorithm caused the same application to duplicate itself in a single store section. 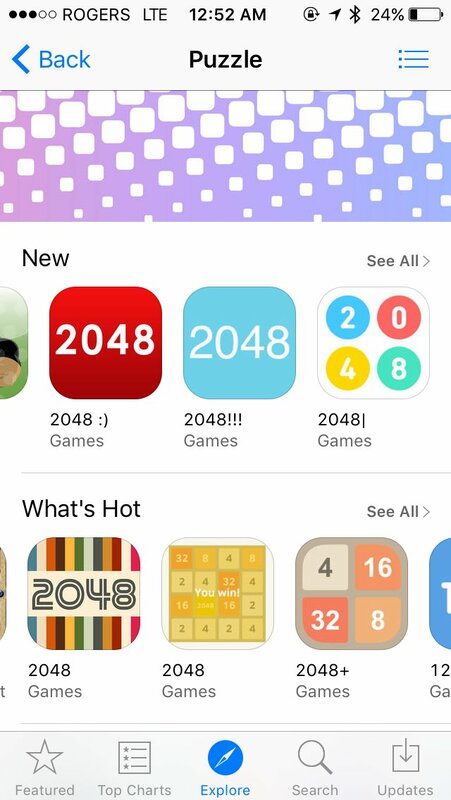 For example, several users noticed that the popular app “2048” was followed by other versions of this game taking up all the category. It was suggested that a breakdown in the App Store database took place. Obviously, surprised users reported the issue to Apple. Apple’s marketing chief Phil Schiller, who’s been moved to this position only a couple of months ago, received complaints in his Twitter account. He responded that such thing shouldn’t have happened and that the developers are already working to solve the problem. What’s interesting about the issue though, is that back in November, Apple reportedly took some steps to improve the App Store algorithms to make them more reliable. It seems like the company will announce another improvement of the virtual marketplace database pretty soon.